A judge has found James Davis Junior was mentally ill when he killed his parents last March in his dorm room at Central Michigan University. The decision means there won't be a trial for the 20-year-old. Davis has been committed to a psychiatric facility and could be held there indefinitely. Update, March 3 4:45 pm: A Central Michigan University student suspected of fatally shooting his parents in a dormitory has been charged with murder. He's accused of fatally shooting his father, James Davis Sr., and his mother, Diva Davis, on Friday morning at a campus dormitory. Police say his parents had just picked him up from the hospital, where he was taken the day before for suspected drug abuse. They had gone to his dorm and were planning to take him home for spring break. Police say the gun used in the shooting belonged to Davis Jr.'s father, a part-time police officer in suburban Chicago. March 3 1:30 pm: Central Michigan University's police chief says a 19-year-old student suspected of fatally shooting his parents in a dormitory was acting strangely the day before the shooting, and told a residence hall officer someone was trying to kill him. CMU police Chief Bill Yeagley says James Eric Davis Jr. appeared terrified Thursday morning when he told the residence hall officer that someone with a gun "was out to hurt him." Yeagley says when officers determined that person posed no threat, Davis said he was fine and was leaving campus Friday for spring break. But Yeagley says officers called Davis' parents and then took Davis to a hospital for an evaluation Thursday afternoon after he was seen in a dormitory hallway with his suitcases, again acting strangely. Davis allegedly shot his parents after they picked him up from that hospital Friday morning. 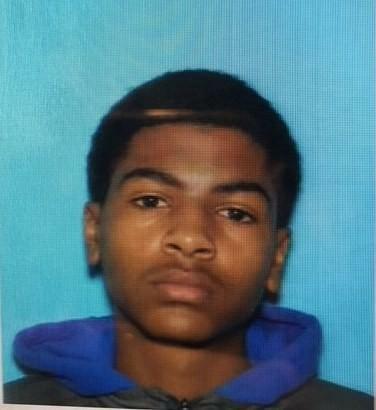 Saturady March 3, 4:29 am: A 19-year-old student suspected of killing his parents at a Central Michigan University dormitory and then running from campus has been apprehended. CMU Police Chief Bill Yaegley speaks at the podium at a press conference Saturday morning. University spokeswoman Sherry Knight is to the left, and President George Ross is farthest left. Police say the gun used in the shooting was registered to the suspect's dad. Central Michigan's Emergency Communication says on its website that James Eric Davis Jr. was arrested without incident early Saturday. They say Davis was seen on a train passing through the north end of campus shortly after midnight. Police say Friday morning's shooting at Campbell Hall happened when parents were arriving to pick up students for the beginning of a week-long spring break. More than 100 police officers, some heavily armed in camouflage uniforms, had searched neighborhoods near Central Michigan University following the shooting. The university identified the two dead as Davis' mother Diva Davis and father James Davis Sr., a part-time police officer in the Chicago suburb of Bellwood. 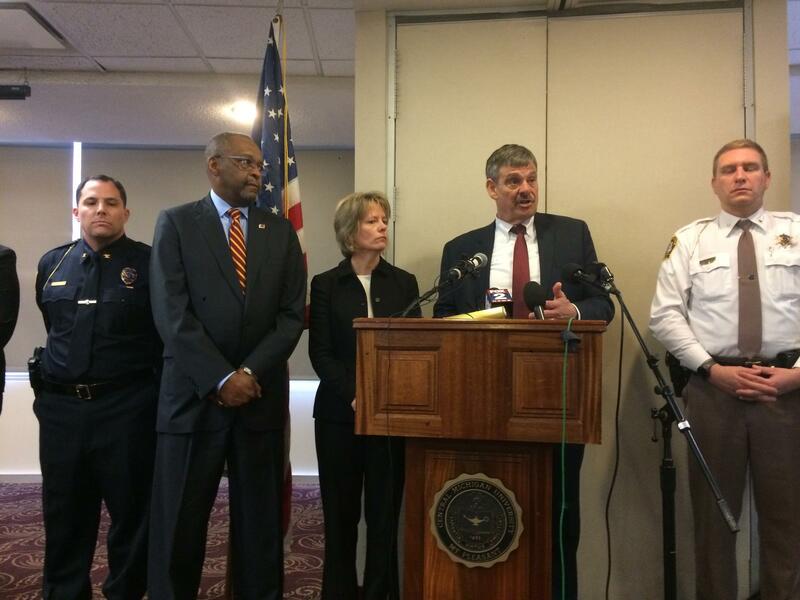 The shooting occurred at a residence hall at Central Michigan. Central Michigan University police Chief Bill Yeagley told reporters that the gun used in the shooting belonged to Davis Sr.